The Dome Z-Wave Plus Smart Electronic Mouse, Rat, and Rodent Trap is truly a flagship product. This smart device humanely kills mice, rats and other rodents with a powerful electric shock and sends an alert when the trap needs to be emptied. Easy to use: set bait, turn on and place in desired location. Operating Temperature: 32°F - 112°F. Powered by 4 AA batteries (not included) enabling it to be triggered over 50 times. Works as a stand alone electronic mouse trap but requires a Z-Wave Certified Hub for notification functionality. Square One, Ep. 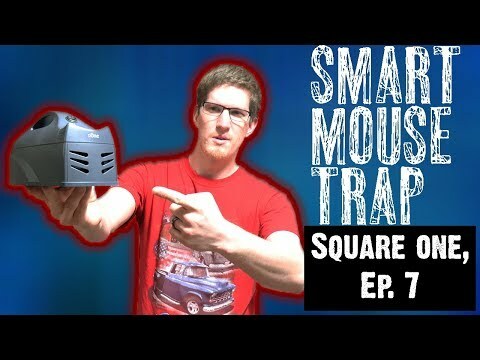 8: They Made a Smart MOUSE TRAP!